Trend Micro SecureCloud™ provides data protection for AWS cloud environment. 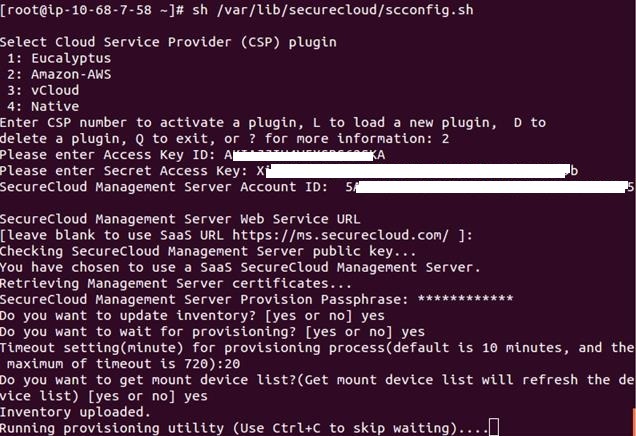 You can deploy SecureCloud as a hosted service (SaaS) or as an on-premise application (inside AWS or in your DC over VPN). Since you can control the keys, it gives you the freedom to encrypt data in in the cloud and have complete control. TrendMicro SecureCloud is available in 32 and 64 bit versions. It currently supports It supports Windows (7, 2003 and 2008), CentOS (5 and 6.0), RedHat (5.4 and 6.0), Ubuntu (9.10 and above), Amazon Linux (09.11 and above), SUSE Linux Enterprise 11. I have tested RHEL on 6.2. 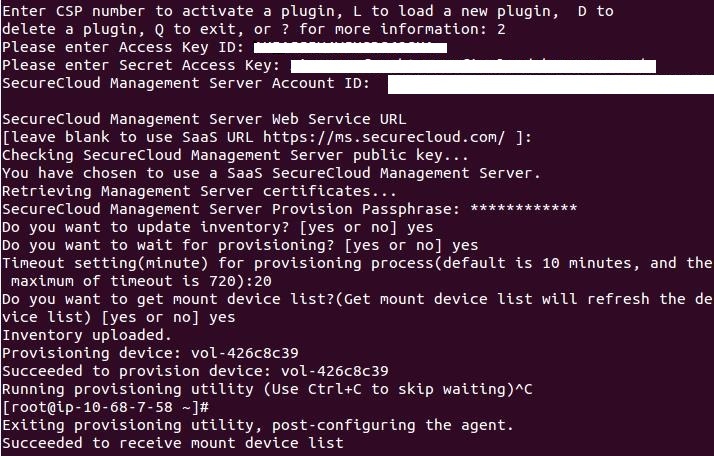 Let us explore in this article how to secure the EBS using SecureCloud. First step is to create an empty EBS volume, You can use Amazon Console to create an 10 GiB EBS volume as stated in following diagram. Please do not attach the EBS Volume with the EC2 Instance. We will see as the article progresses how Trend Micro Secure cloud will attach this. Logon to TrendMicro Web console, go to the administration panel and select User Management option. Get the Account ID from the Console. 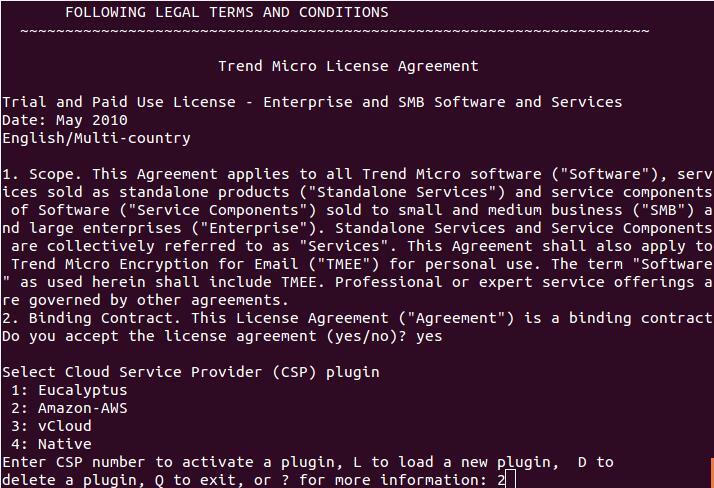 If you are using SaaS version of TrendMicro SecureCloud, then leave the field blank. In case if you are using on-premise version of TrendMicro SecureCloud Management Server, then give the full URL. Get the Provision passphrase from Console. Do you want to update inventory? [Yes or No] – Yes: This option will update and upload list of images and volumes from AWS to TrenMicro SecureCloud management server. Do you want to wait for provisioning? [Yes or No]- Yes: Whenever you want to provision an EBS Volume for encryption, you need to select this option. Timeout setting (minute) for provisioning process? Default is 10 Minutes. Do you want to get mount device list? - Yes: This option will get you the list of volumes with their mount points. Once the above details have been configured, TrendMicro SecureCloud provisioning utility will start uploading the inventory. Once the inventory is uploaded, we can see list of all images and devices in TrendMicro SecureCloud web console by selecting inventory section. 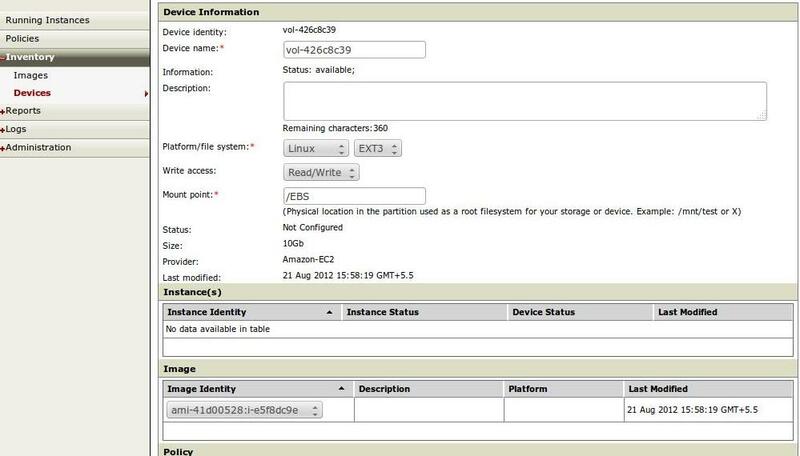 In the image below, we can see device status as “Not Configured”. Immediately after uploading inventory, volume provisioning utility will start. Once the provision utility starts in the console, Please go to TrendMicro SecureCloud web console and select inventory->devices section. Select the device/volume you want to encrypt. Platform and File system – Linux and File System can be ext3/4, XFS etc. Write Access: Volume will be used for read or read/write purpose. Set the value as “Read/Write”. Mount point: Volume mount point in the Amazon EC2 instance. Set the value as “/EBS”. Select the ‘configured’ device and choose the “Encrypt” option. Since encryption of the device is a destructive process which erases any data residing on the device, it asks for an acknowledgement from the user. On pressing ok option the encryption process will start and the device status will change from ‘Configured’ state to ‘Encrypting’ state. You can observe the progress of this process on the terminal window. Once the encryption process is over, you can observe that the device state is in ‘Encrypted’ state in the TrendMicro Console. After all the devices are provisioned, you can stop provisioning utility or wait for timeout. Once the provisioned utility is stopped, we will receive the mount list and script will end. After running provisioning utility, the volume will be ‘encrypted’ but not attached and mounted to the Amazon EC2 instance. To attach and mount the volume, we need to start the TrendMicro SecureCloud service on the instance. Once the service is started, key exchange will happen between TrendMicro SecureCloud management server and TrendMicro SecureCloud agent on the AWS. There are two ways the key exchange can be approved. Now, on issuing ‘mount’ command on instance, we can see that the volume is mounted on the mentioned mount point and ready for use. Manually approving key is not an attractive option for large AWS deployments. You can approve key automatically based on pre-defined user policies as well using TrendMicro SecureCloud. For example: You can have policy which says approve key request from a particular IP address or IP range or approve key request from all EC2 instances which have their mount point as /EBS etc. Go to policies section in TrendMicro console to configure policies. Every device/volume can be associated with a policy. In the below diagram, we have defined policy to approve key request from all instances which have device mount point as /EBS (sample).